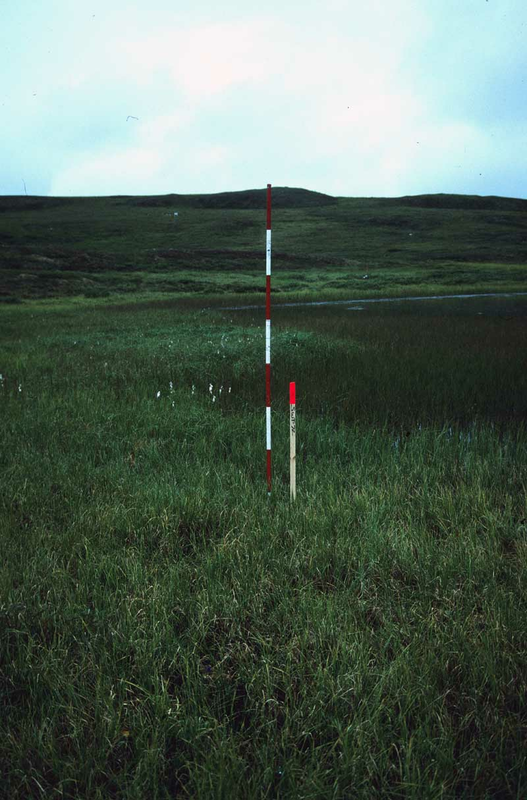 This dataset provides environmental, soil, and vegetation data collected in August 1989 from 81 study plots at the Toolik Lake research site, located in the southern Arctic Foothills of the Brooks Range, Alaska. Data includes the baseline plot information for vegetation, soils, and site factors for the study plots subjectively located in 26 communities and 4 broad habitat types across the glaciated landscape. Specific attributes include: dominant vegetation species, cover, indices, and biomass pools; soil chemistry, physical characteristics, moisture, and organic matter. 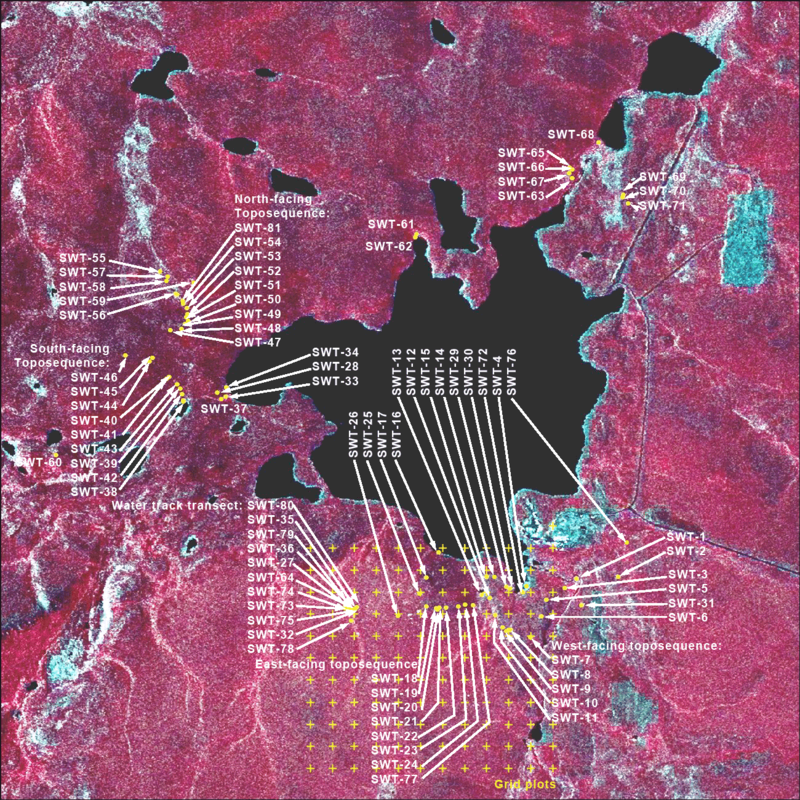 This product brings together for easy reference all the available information collected from the plots that has been used for the classification, mapping, and analysis of geobotanical factors in the Toolik Lake region and across Alaska. The dataset includes 4 data files in *.csv format and one additional companion file. 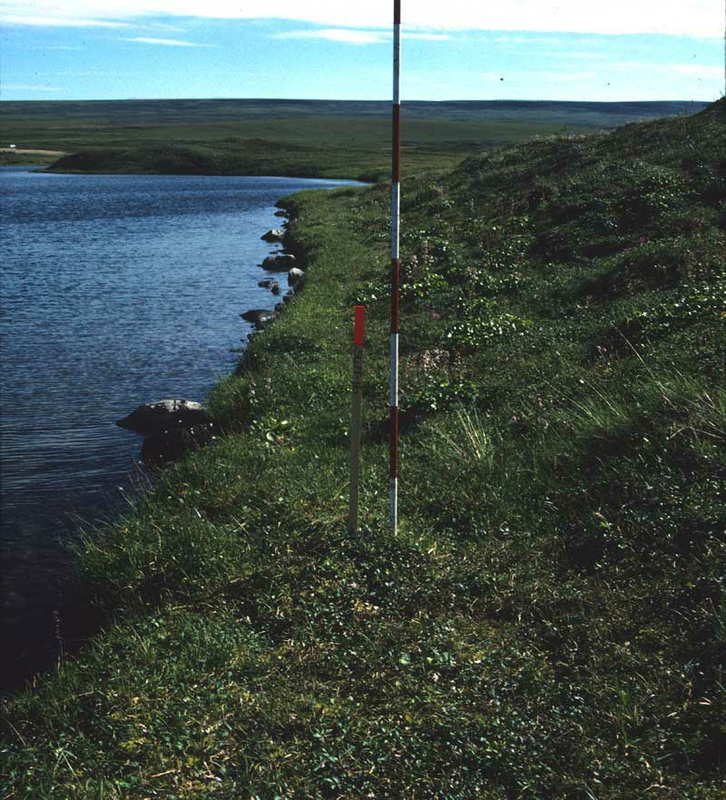 Figure 1: Toolik Lake Permanent Vegetation Plot SWT-16. Comprehensive set of environmental characterization data for Toolik Lake research plots including the descriptive site factors. Most measurement data have been processed to provide values at a common 10 cm depth. This measurement comparability facilitates analysis of geobotanical relationships across Alaska. Data Descriptions: The column names, their units and descriptions for each of the *.csv data files are listed below. 4 to 84 SWT1 to SWT81 Column headings are all 81 plot numbers. The data values are Species Cover Classes (Braun-Blanquet cover-abundance scale): where r (rare), + (common, but less than 1 percent cover), 1 (1-5 percent), 2 (6 to 25 percent), 3 (25 to 50 percent), 4 (51 to 75 percent), 5 (76 to 100 percent). Companion Files: There is one companion file with this dataset in .pdf format. Summary report of all the data collected, methods of collection, maps/plots etc. for the 81 study plots at the Toolik Lake research site. Walker and Barry (1991). These data bring together for easy reference all the available information collected from the plots and have has been used for the classification, mapping and analysis of the geobotanical factors in the Toolik Lake region (Hobbie and Kling, 2014; Shippert et al., 1995; Walker et al, 1994; Walker et al., 1995 ). Derived regional maps of these data will be used in regional models of fluxes of trace gases, water, and energy from tundra surfaces. In addition, a circumpolar vegetation classification resulting from these datasets would be highly desirable to extend the results to the entire arctic region. The eighty-one study plots at the Toolik Lake research site located in the southern Arctic Foothills of the Brooks Range, Alaska (shown in Figure 2) were subjectively located in 26 plant communities and 4 broad habitat types including: dry tundra (19 plots), snowbeds (7 plots), moist tundra (27 plots), and wet tundra (15 plots). Figure 2. Location map of the 81 Toolik Lake Permanent Vegetation Plots. A formal relevé sampling of the designated plots was done during the period 1-24 August,1989 to sample the diversity of vegetation types of the region. For more details see Toolik_Lake_Veg_Plots_Report_WalkerBarry1991.pdf. Taking photographs of the general site (Figure 1), vegetation (Figure 3), and soil profiles (Figure 4). Photos are provided in Walker and Barry (1991). Measuring site factors listed in listed in Table 4 plus measurements of thaw depth, estimates of cover of bare soil, rocks, and the major plant growth forms as summarized in Table 4. 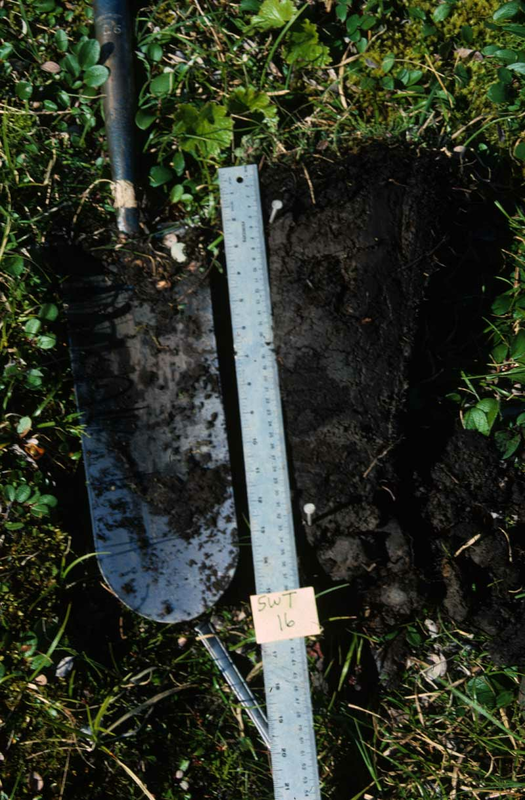 Field sampling of soils where soil pits were dug adjacent to the plots and described and classified according to the U.S. soil taxonomy [Walker and Barry, 1991]. Soil variables for each plot, typically at 10 cm depth was derived from the complete soils data in Table 2. Soil texture is primarily from the top mineral horizon per the soil text descriptions; secondarily from 10 cm, or listed as ‘organic’ when no mineral horizon is present. Figure 3. Vegetation at one of the Toolik Lake permanent plots (Plot SWT-72). Figure 4. Soil profile at one of the Toolik Lake permanent plots (Plot SWT-16). Hobbie, J. E., & Kling, G. W. (Eds.). (2014). Alaska's changing Arctic: Ecological consequences for tundra, streams, and lakes. Oxford University Press. Shippert, M. M., Walker, D. A., Auerbach, N. A., & Lewis, B. E. (1995). Biomass and leaf-area index maps derived from SPOT images for Toolik Lake and Imnavait Creek areas, Alaska. Polar Record, 31(177), 147-154. Walker, D. A., Auerbach, N. A., & Shippert, M. M. (1995). NDVI, biomass, and landscape evolution of glaciated terrain in northern Alaska. Polar Record, 31(177), 169-178. Walker, M. D., Walker, D. A., & Auerbach, N. A. (1994). Plant communities of a tussock tundra landscape in the Brooks Range Foothills, Alaska. Journal of Vegetation Science, 5(6), 843-866. Walker D.A. and Barry N. (1991). Toolik Lake permanent vegetation plots: site factors, soil physical and chemical properties, plant species cover, photographs, and soil descriptions. Data Report 48, Department of Energy R4D Program, Institute of Arctic and Alpine Research, University of Colorado, Boulder, CO.